While increasing hotel occupancy and promoting longer stays is a priority Aria addresses by helping clients create well-timed, -targeted, and -crafted events—there are also instances where dollars are not the primary impetus behind creation of a signature event. Aria reaffirms that the development of signature events is a key strategy to tourism growth and national brand recognition. The Corpus Christi CVB in partnership with Aria was able to create a winning sales strategy to secure funding for what has become a huge event. 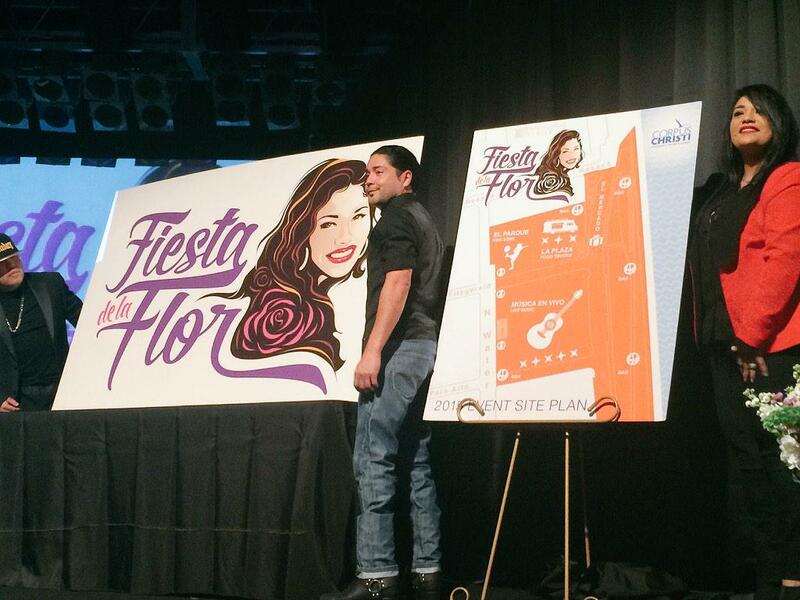 The inaugural Fiesta de la Flor event will be held April 17 & 18 on Corpus Christi’s downtown bayfront. It’s undeniable that events are among the most powerful tools a destination can use to attract first-time visitors (and keep them coming back for more), but events can sometimes serve a higher purpose, commemorating a historic event or celebrating a larger-than-life figure associated with the place. Selena QuintanillaPérez, known simply to the world of music as Selena, impacted those young and old who adored her in an incredibly lasting and powerful way. The Corpus Christi CVB decided to recognize the community’s love for its native daughter with an annual event in her honor, and the time to pursue it was now. For Aria, the challenge is always to bring a destination’s brand to life in an authentic, entertaining, and “uniquely ownable” way—to tie an event thematically to the destination’s heartbeat, culture, and reputation. In some cases that’s tougher than in others. Often all there is to work with is what the destination is already known for: landmarks, music, art, food, theater, museums, and unique districts. Done right, this can make the brand-event connection clear. But in this case, creating an event to honor Selena required a different approach. After all, Selena called Corpus Christi home. Selena QuintanillaPérez, was named top Latin artist of the ’90s and Best selling Latin artist of the decade by Billboard Magazine. She was also considered by many to be the Mexican equivalent of Madonna. But, tragically, the arc of her career was cut short when she was taken from this world in 1995 at the young age of 23. Aria helped the Corpus Christi CVB take its desire for a Selena event from dream, to conceptualizations that sponsors could understand, appreciate, and believe. Providing the Corpus Christi CVB with credible visualizations and persuasive descriptions of the proposed event and event assets from an event-goer’s perspective proved to be highly effective in winning unprecedented sponsorships for a first-year, local event. The materials created for the Corpus Christi CVB by Aria were tools that helped sell sponsors on the inevitability of success and value—before the fact. The proposition was straightforward: 1) Fiesta de la Flor was to become a high quality, annual, signature event to honor Selena, with a clean, professional and uncluttered feel. 2) Everything about the event was to stay true to Selena and the legacy that the Quintanilla family vowed to keep 20 years ago. The combined team designed an event that could succeed equally well on a smaller initial scale, but designed in was the extra flexibility to grow the event, expanding the footprint in the future to encompass more territory in the same area of the city. Aria began by assisting the CVB with ideas for event programming that included a kids zone, a mercado (market), a food truck plaza, and a VIP zone. Then, creating an event site footprint map to scale, we began allocating space and assets to optimize walkability, visibility, safety, convenience, and experience. Next we looked at how to present and design sponsorship assets and naming opportunities in a uniquely compelling way using rich pre-visualizations that, in some cases, were tailored for key prospects. The event assets used street-level views of stages, zones, and other significant locations and programming with the potential sponsor’s branding in place. As a result of these efforts, within a few short weeks, Corpus Christi CVB had landed the needed sponsorships. Achieving this level of sponsorship sales success in the first year provided the Corpus Christi CVB with needed revenue to turn a profit and provide seed money for future years. The inaugural Fiesta de la Flor event was held April 17 & 18, 2015 on Corpus Christi’s downtown bayfront. Attendance was over 50,000 people with massive success. Visit fiestadelaflor.com for more info on the event.